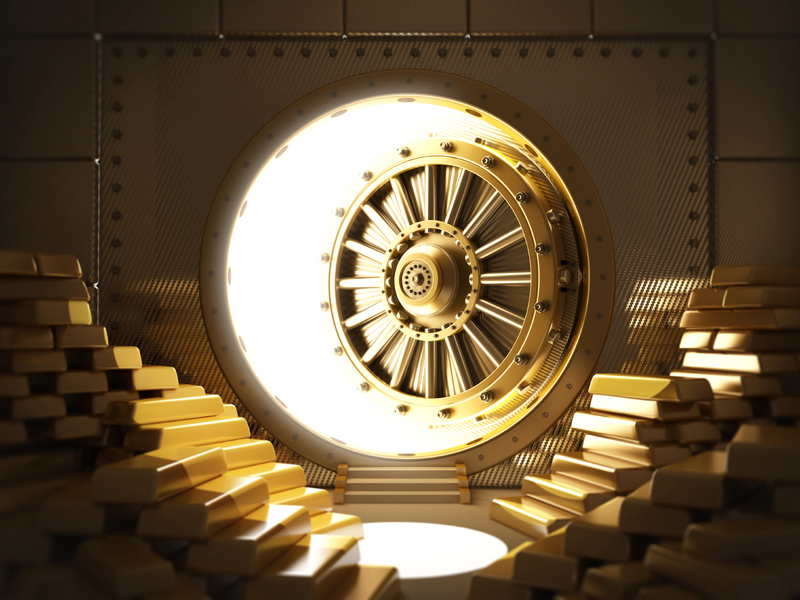 A notable number of central banks, many from countries with developing economies, have been increasing their official gold reserves over the past few years, writes the Wall Street Journal. The central banks of Russia and Kazakhstan in particular raised their holdings in July despite gold’s less-than-stellar recent performance. In Tuesday morning trading gold peaked at $1,291.10 per ounce, and has traded in a $15 range so far in the session. Russia, one of the world’s largest holders of gold, increased its reserves by 340,000 troy ounces in July to 35.5 million ounces, according to the International Monetary Fund. Kazakhstan’s central bank boosted its official reserves by 45,000 ounces to 5.1 million ounces. Other central banks including those of Ecuador and Turkey have also increased their holdings, as debt crises have pressured reserve currencies such as the U.S. dollar and the Euro. “Some analysts say a central-bank decision to start accepting gold as collateral from commercial banks in late 2011 has been the main cause of recent sharp movements in the country’s precious-metal holdings,” writes WSJ. In other news, the S&P 500 hit a record high on Monday, closing out the day at above 2,000 points. However, more economists are joining the ranks of those concerned about market bubbles. Once again there was tension at the Russia-Ukraine border when on Monday a column of vehicles arrived near the Sea of Azov, south of the rebel-held city of Donetsk. Russia denied sending the vehicles. While equity markets may be rallying, it is important to remember the protective benefits of diversifying your portfolio with physical precious metals such as gold and silver. The phrase “don’t put all your eggs in one basket” can apply to your financial asset portfolio as well. Gold limits exposure from Wall Street and the risks associated with depending on credit to function. To take advantage of the safe-haven properties of gold by adding it to your retirement portfolio, called American Bullion today at 1-800-326-9598 and ask about rolling over your current or former retirement account to a Gold IRA.